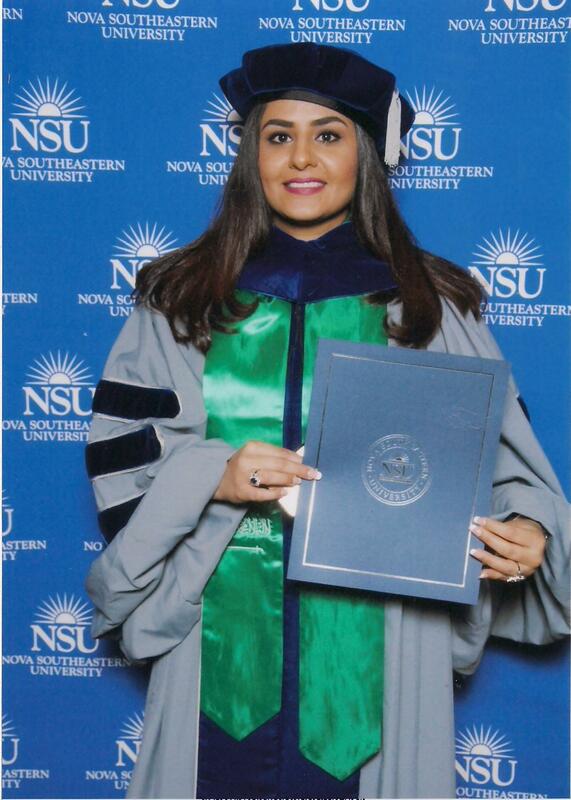 Ghadah Al Ghunaim, Ph.D., doctoral graduate from NSU’s College of Arts, Humanities, and Social Sciences (CAHSS), was appointed by the King of Saudi Arabia, King Salman Bin Abdulaziz, to the Board of Trustees of the King Abdulaziz Centre for National Dialogue. Al Ghunaim is also a Senior Consultant at Delivery and Rapid Intervention Center. Her previous positions include Director General, International Cooperation, Communication and Media Department at the Education Evaluation Commission of Saudi Arabia, and Director General, International Cooperation at the Education Commission of Saudi Arabia. In addition to her doctoral degree in Conflict Analysis and Resolution from the Department of Conflict Resolution Studies (DCRS) in CAHSS, she has an M.B.A. from Johnson and Wales University, Rhode Island, and a Bachelor of Interior Design from King Abdulaziz University.